Santa Monica’s elite jewelry brand has been turning heads on the red carpet for a decade. The brand, known among the luxury and leisure lifestyle, trades in exquisitely lavish metal forms. Hoorsenbuhs, was named after the Dutch ship from the 16th Century that traded in high value goods. Robert Keith founded Hoorsenbuhs in 2005 and was a descendant of the sailors on the Hoorsenbuh trading ship. He continued his ancestral tradition by designing Hoorsenbuhs’ breathtaking jewelry. 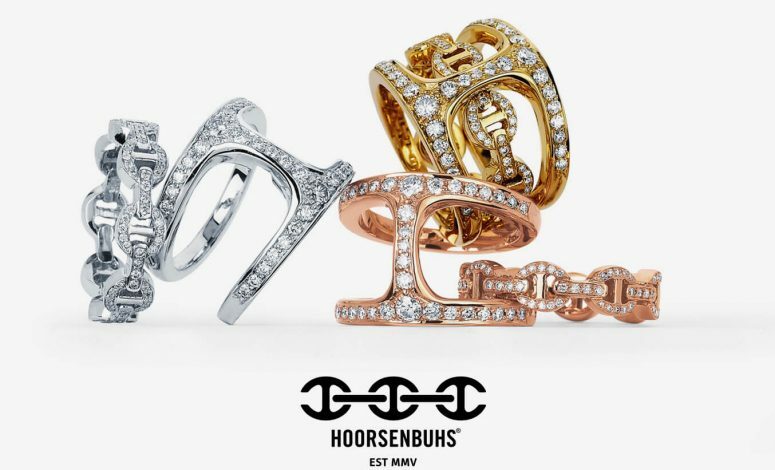 Last week, the Hoorsenbuhs trunk show brought the brand to Hawaii’s luxurious Four Seasons Resort Hualalai, to connect the resort’s wealthy residents to Hoorsenbuhs. Bringing luxury brands together seems like a suitable marriage. It is a gravity that draws high-end brands and designs to the resort’s clientele. Whether buyers want to peruse the assortments or take in a private showing of the adornments and collections, from gems to handbags to furniture, the intricate, classy, and contemporary designs are showcased. What makes these brands special comes from the personalized design and service. Take away the marketing, the color, temperature adjusted lighting displays, perfected placement, and side pieces and what you have left is still an illuminating and alluring work of art. Luxury brands, whether its adorning a necklace or handmade clutch, draw attention even when the marketed display is gone. These brands can sell themselves but it’s the personal touch that brings you to the perfect piece. It’s the service associated to the luxury brands that directs the client’s needs to the perfect artifact. The connection begins with common ground. The concentration of wealth and luxury begins on the real estate that brings them together. Hawaii’s high-end real estate market is filled with wealthy clients looking to relax, impress, and socialize. Hualalai is one place that brings people together because of the concentration of clients looking to show what they have. Like all brands, the real estate market has a special kind of service, and for good reason. Luxury Big Island’s Harold Clarke, is a man trading in luxury real estate. As he says, “it’s the personalized approach” that connects the client to the piece. It’s the same process, albeit a little more complex, but it’s the pull of gravity to connect the right property that illuminates the lifestyle the client wants to display. The heart of luxury real estate, jewelry, and other luxury goods is the service we receive. No one has time to sift through the endless listings, gems and designs. You want to capture what you are looking for through someone that can read into your needs and find what you are looking for. Some clients, the difficult ones, may not know what everyone else can see, but what you are looking for needs to capture the essence of who we are and it takes an intuitive approach to get you there. Like the right perfume, not just any scent will do. This is where we find the brokers of luxury. It’s where the senses meet and enlighten you to what everyone sees. The luxury market needs someone attuned to who you are to draw your attention to the piece that’s been seeking you out.